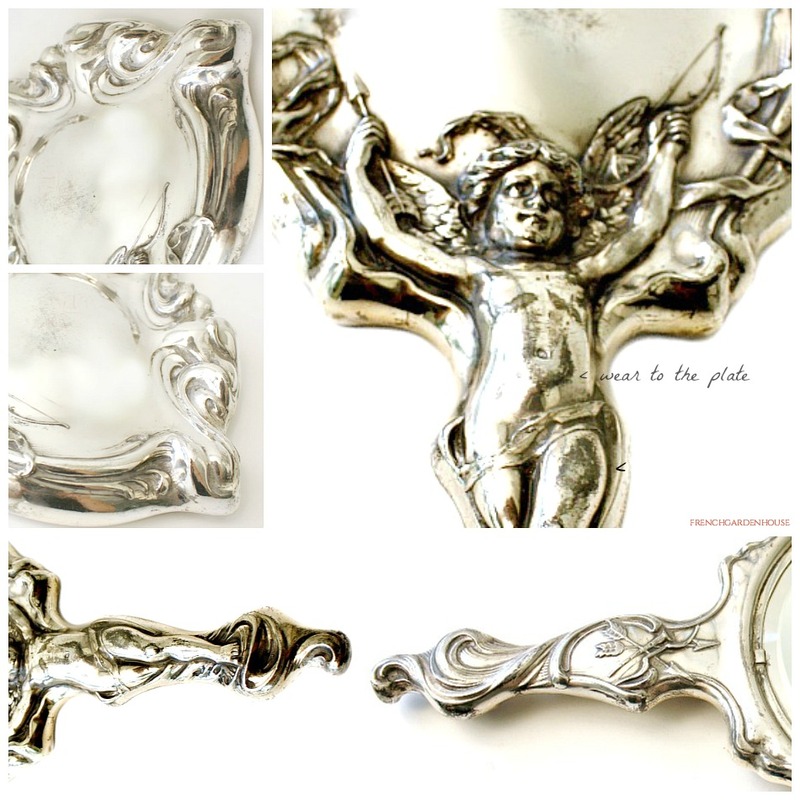 Beautiful Antique Silver Plate Mirror, with a stunning decorative cherub on the back, holding his arrows and a bow, ready to shoot into the next unexpected lover's heart. On the reverse side of the handle, his quiver, bow and arrows. 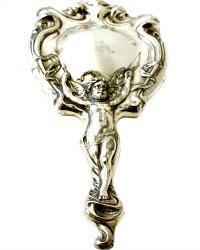 Made by the Derby Silver Co. in the late 1800's early 1900's, in the beautiful Art Nouveau style. 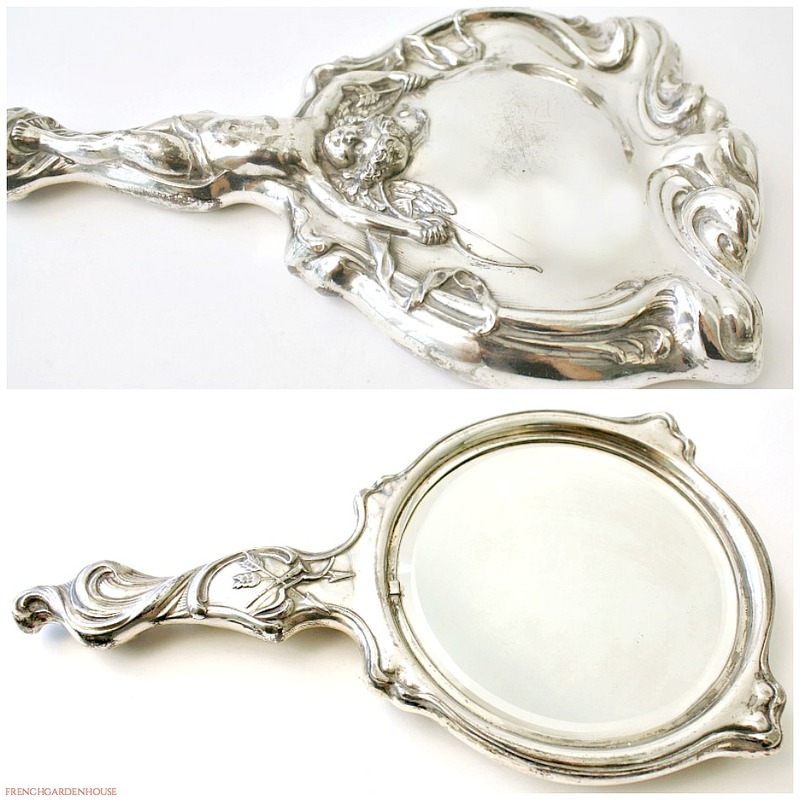 This is a heavy piece, it has a beveled mirror, it was sold in luxury stores and is a wonderful addition to your collection of antique silver vanity pieces. Display on your French vanity, in your guest bathroom, it's a beauty. 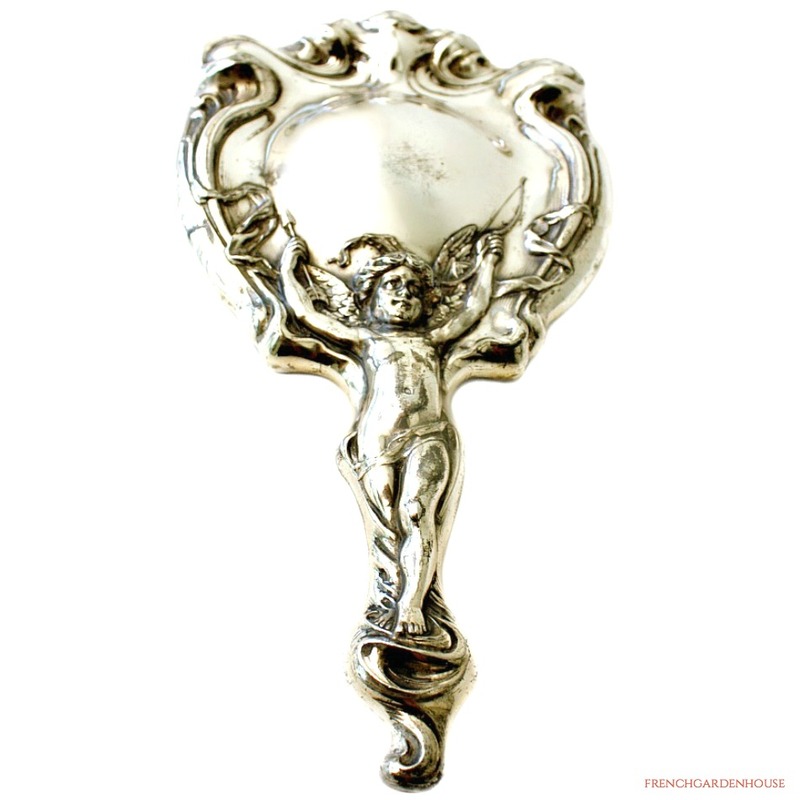 There is wear to the plate, in the very center of the mirror back and on the figure as shown, so only for those of you who love antiques with the grace of time. Displays very well, nothing will detract from the beauty of this sweet romantic and feminine piece.